The Skreeans are escaping oppression in the Gamma Quadrant and find themselves at DS9. 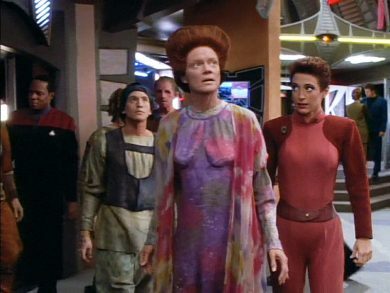 If only they could settle on Bajor and get back to farming, just like their sacred texts have told them. Bajor isn’t ready for that many guests, though, not so soon after the Cardassian occupation. So where can three million immigrants go? And couldn’t they all just learn to get along? Sanctuary goes into the Mission Log.